Only one of its 9 towers, the Goose Tower, was spared because it served as the town’s prison. It was named after a golden goose on the top mocking the Hanseatic League, and it is the only standing medieval defence tower in Denmark. Apart from this, all that is left is remnants of the almost 800 m long curtain wall and the 12 semicircular towers protruding from the wall between the remains of four solid towers. 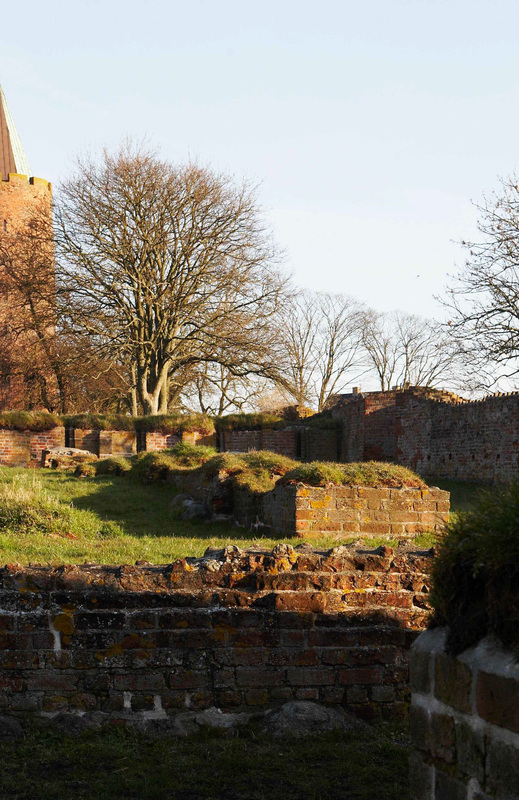 The castle was built in 1160 on a steep coastal slope by King Valdemar I as a base camp for the crusades against the Slavic tribes at the south coast of the Baltic Sea, culminating in 1168 with the destruction of the temple-site of Arkona on the island of Rügen. 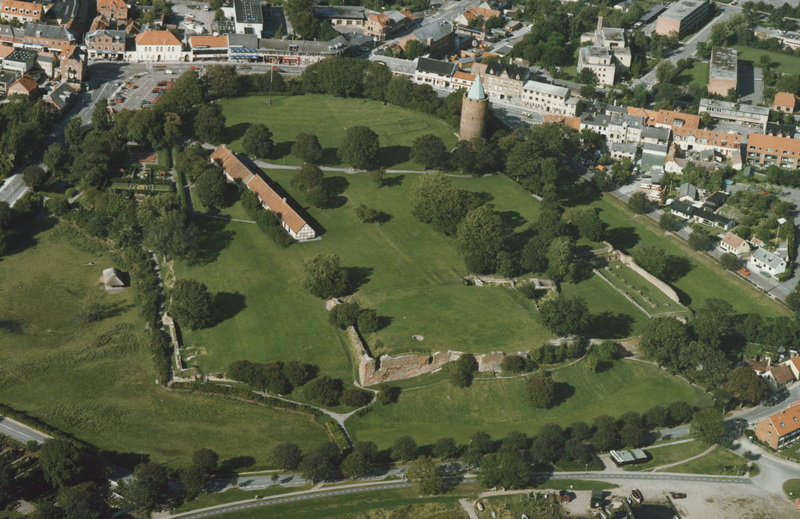 King Valdemar II renewed the castle, and King Valdemar IV made Vordingborg a castle of international ranking, meant to impress members of the Hanseatic League and other foreign legates that were summoned to Vordingborg to negotiate the supremacy over the lucrative trade on the Baltic Sea. But soon the decline began, and after 1660 the castle was demolished.